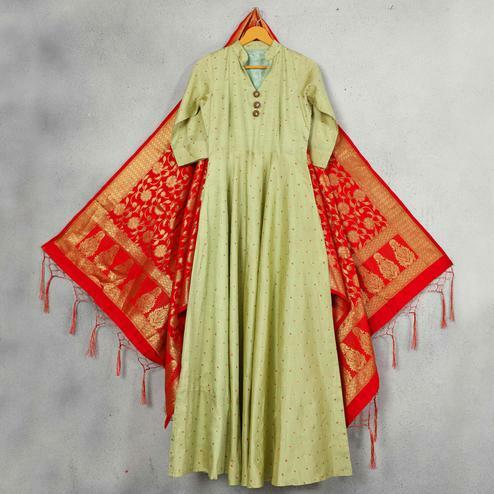 Design, style and pattern would be at the peak of your beauty once you dresses this pear green colored floor length gown. This fancy gown is fashioned on pure muslin cotton fabric. 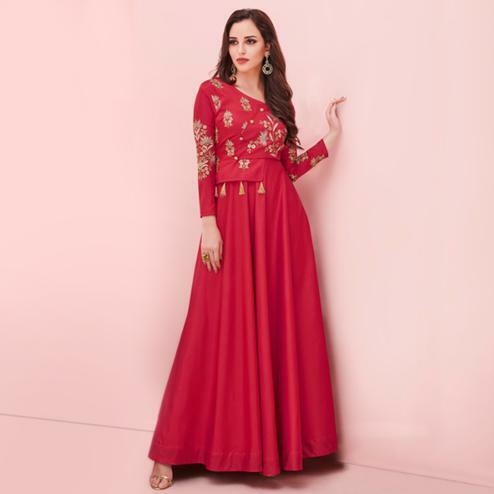 This gown is enriched with attractive embroidered handwork and stylized with western cuts and patterns which makes this attire more demanding. Women can buy this gown to wear for their upcoming functions, receptions, parties and occasions. Team it with ethnic accessories to make your looks more beautiful. This attractive gown would surely attract you showers of compliments when you wear it. Grab this gown before someone else gets it and wear it.